It’s time again for another sketch challenge with the Paper Craft Crew! I used almost all new products on my card! 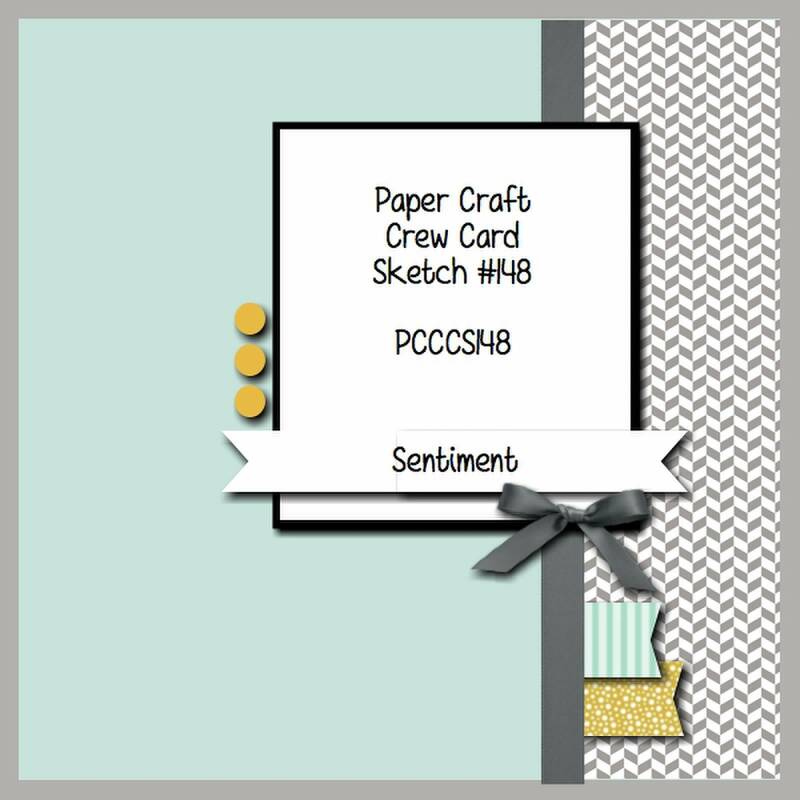 My card base is the new Tip Top Taupe cardstock, layered with a panel from the Cherry on Top Designer Series Paper stack. On top of that, is a strip of Tip Top Taupe cardstock again, with 2 little banners in Crushed Curry and Bermuda Bay on the lower right. I stamped the image from Best Thoughts – a new Hostess set – on Vellum Paper in Versamark ink, then heat embossed it with White Embossing Powder. When cutting the vellum to size, I hand cut around the stem and petals of the flower; you can see them peeking out at the top and right side, overlaying the Watermelon Wonder cardstock beneath it. The sentiment is from the set Sheltering Tree, stamped on Whisper White cardstock in Watermelon Wonder ink. I used the new Banner Triple Punch to make the tails on each end, then layered it with Stampin’ Dimensionals at the bottom of the image. I finished off the card, and stayed with the sketch layout by adding a few sequins from the Gold Sequin Trim, and tied a bow made from the new Dotted Lace Trim in Watermelon Wonder. Next Next post: PP248 – Paper Players Theme Challenge! 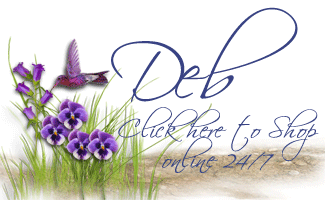 Hi Deb, I was rushing this morning and didn’t want to forget to comment, thus the short note! You really did a spectacular job! Your customers and stamping friends are lucky to have you as their demo. It is obvious that you put a lot of time and effort into being the best demo possible, and you seem to care very much about your stampers. I haven’t seen the new catalog yet but you are showing some awesome products and colors! I hope this is a wonderful and rewarding SU year for you! Laura, it is so nice of you to come back and add to your comment – you are so nice!! Thank you so much; I do like to show my appreciation for my wonderful customers 🙂 I really appreciate your comments; it’s so nice to know you’re there reading my posts! Have a fabulous week! I love the card Deb!! Thanks for the nice comment, Debbie!